If you are publishing a book, taking a look at the information on our website could save you some time and money. There is no magic formula for finding a fair price on top quality book printing. It is simply a balance of business relationships, practical experience and work volume. Morris Printing Services has made valuable contacts over the years and we have established agreements with the best book printing companies. That allows us to offer better prices. These relationships are the cornerstone to what MPS can offer you and your organization. Volume pricing with a book manufacturer is something you can not get by printing one or two titles. 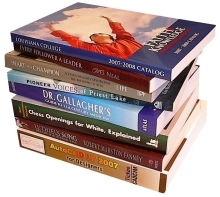 Morris Printing Services does a large volume of book printing each year. That allows us to get special consideration in terms of pricing and scheduling. If you are new to the book manufacturing process we understand that much of the information can sometimes be confusing and intimidating. Morris Printing Services will help you cut through the confusion. Book manufacturing is our specialty, and our resources are used to make sure you get the best product for the best price. There is no substitute for solid experience. Morris Printing Services isn't a publisher. You retain the rights to your work as the publisher. We provide free information to help you set up ISBN numbers and copyright protection. Use this website as a resource. Request a FREE book printing quote by filling out the online form, or give us a call to discuss the details of your project. Use our extensive book printing glossary, and FAQ page to get answers to your questions about book manufacturing, and visit our self-publishing resources for more helpful information. Let MPS help you with your next book printing project. Request a quote today!